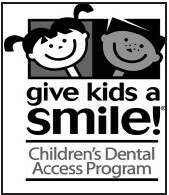 Savannah Technical College will host Give Kids a Smile, a free event for children ages 3 to 18 to receive dental care from 9 a.m. until 3 p.m., on Friday, February 6 in the Eckburg Auditorium (5717 White Bluff Road, Savannah 31405). This event is coordinated through a partnership with the Georgia Dental Association, Southeastern Dental District, the Savannah Dental Society and Savannah Technical College’s Dental Hygiene and Dental Assisting Departments. Savannah Technical College’s 83-credit hour Associate of Science in Dental Hygiene program accepts approximately 26 students annually. Students provide clinical patient care as a component of their curriculum requirements. Most students are offered employment positions pending successful completion of two credentialing examinations and licensure. The program has had 100% licensure pass rate for many years. STC’s Dental Assisting program is accredited by the Commission on Dental Accreditation (CODA) American Dental Association (ADA) and prepares students for employment in a variety of positions in today’s dental of- fices. The Dental Assisting program provides learning opportunities which introduce, develop, and reinforce academic and occupational knowledge, skills, and attitudes required for job acquisition, retention, and advancement. Additionally, the program provides opportunities to upgrade present knowledge and skills or to retrain in the area of dental assisting. For more information about program admission, please contact STC’s Health Sciences Academic Advisor Ebony Walker (ewalker@savannahtech.edu or 912.443.5721) or Dr. Suzanne Edenfield (sedenfield@savannahtech.edu) for Dental Hygiene or Stephanie Derfus (sderfus@savannahtech.edu) for Dental Assisting.